February has arrived with cold winds and the feeling it is time to take the last opportunity of the winter to hunker down and “look within”. What has the winter brought you in your time of moving inward when the north wind becomes your teacher through insights and reflection and quieter days when the sun makes room for shadow and night so that you may peer more deeply inside of yourself? The spring is on the horizon and when it arrives it will be time to plant the seeds of your winter dreams. What have you dreamed? What will you plant? What were your dreams that you have dreamt under the cold winter moon? The winter has brought Chief Wind in His Shoes to my dreams and his teachings to those who might read this and remember. In my journey dream I once again go to the Midwest and join Chief in the shallow cave on the side of the red butte where he beckons me to join him around his fire. It is burning brightly and the glow from the flames brings his face into full focus. The fire and this spirit helper now feels familiar to me and I am honored to sit by his fire. We sit quietly together gazing at the stars in the vast sky of Arizona in this ancient place when things were easier to discern and Earth’s teachings were intimacies we all breathed in and out as part of our life. It is peaceful and I am grateful for the feeling of stillness that seems to wash over me. Chief turns and picks something up from the ground next to him and holds it up to his face. He has picked up the peace pipe and begun to pack it with tobacco and sacred herbs. I watch Chief light the herbs and tobacco. I watch the smoke from the pipe float upwards into the sky. Together we smoke the peace pipe; round once, round twice… round thrice… round and round until all that is needed to be spoken from our hearts has been put upon the winds. I speak my prayers for each and at each turnaround of the pipe the smoke sends these prayers up into the heavens. Our intentions and prayers moving into the ether, into the greater stream of potential and intention. 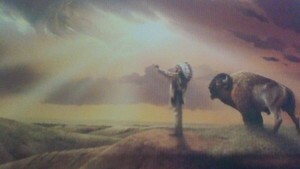 Chief tells me: “We send the smoke up into the heavens and our prayers out because we are all one. We connect to all in this way. We send our prayers up and out through the pipe ceremony and feel and see and know our oneness and interact with this knowing through our prayer and intention. What is the Native American peace pipe ceremony? Knowledge of the Native American peace pipe ceremony will give you context to Chief Wind in His Shoes ceremony and how this is connected to Mother Earth and you! The ceremonial ritual of the peace pipe is a simple one and serves as a portable alter that in ceremony creates sacred space, through the calling of the four directions, Mother Earth, Father Sky and Great Spirit. The pipe is loaded with kinnic kinnick which is tobacco and other sacred herbs. It is lit and smoked creating smoke that travels up into Father Sky. 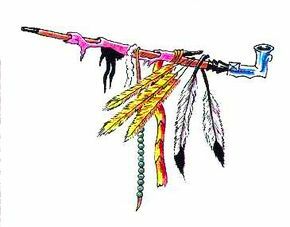 Many believe that a powerful good for all things can emanate from the peace pipe ceremony. The pipe is a spiritual instrument and can become a strong catalyst to impart a powerful feeling for our Mother Earth and all living things. The pipe and its respectful holder are needed as a force to disseminate a spiritual understanding and intention for Mother Earth and all life upon her. The pipe ceremony brings us to our intentions in our hearts where we seek to help and hot harm; to be open minded and not closed minded, to be responsible and aware of our impact on ourselves and on Mother Earth. The smoke from the peace pipe represents the participants’ visible breath and stands for truthful words, truthful actions, and truthful spirit and through the rising smoke our intentions in our hearts is taken to Source, to Great Spirit, to the winds of intention and becomes a contributor to all. 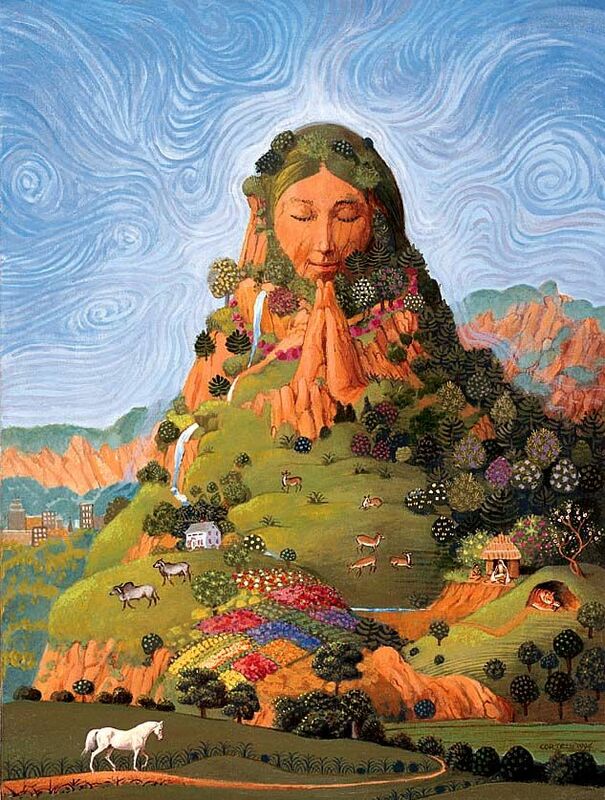 Tobacco is sprinkled upon Mother Earth (giving back to Mother Earth) and the pipe is loaded. The pipe is then pointed at an angle to the sky. The pipe is usually pointed towards the sun; if it is evening, it is pointed towards the moon, to acknowledge Father Sky. On your own you can create your own ceremony where you send your intentions of the peace pipe ceremony up into the heavens. Answer the peace pipe ceremony questions and write them on individual pieces of paper with your answers to them. Then one at a time burn them; sending these prayers into heaven on the smoke they create as they burn. Take note over the next few months as spring blooms and your intentions take root and grow in your life. How you are actively walking in the action of these intentions. 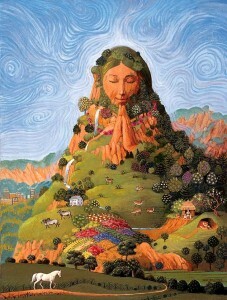 Green is the color for Mother Earth.